Recently, Apple’s annual September launch event has come and gone now, as now the predictions and rumors are behind us. Apple has launched their three new flagship Apple iPhones for their valued consumers across the globe. The three new flagship Apple iPhones are Apple iPhone XR, iPhone XS, and iPhone XS Max. Here in this blog, I will be discussing the specs and features of all three new iPhones which are recently introduced by Apple. So, what have the new iPhones have to offer for their hefty price tags? Let’s have a look. 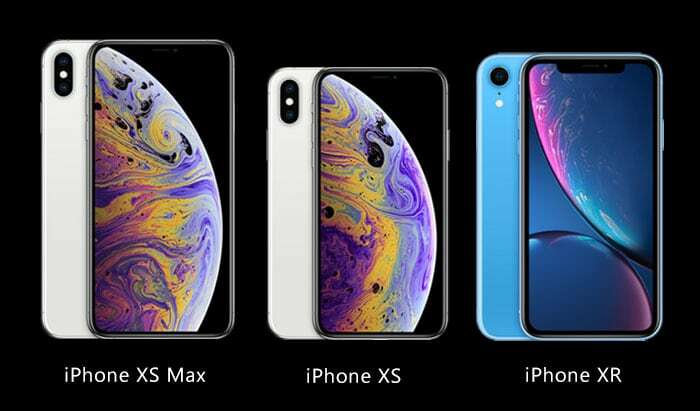 There are three new iPhones in the new Apple’s flagship lineup, the big screen iPhone XS Max, the small screen size iPhone XS and finally, the most budget-friendly iPhone XR. Both the iPhone XS and XS Max share quite the same specifications, but the only main difference is their screen size. On the other hand, the budget-friendly iPhone XR is expected to replace the last year’s iPhone 8 with its slightly more modest specifications. There is a majority of Apple fans in Pakistan, who are interested to know about the new iPhone price in Pakistan. Well, we exactly don’t know about the exact price of the new iPhones, but as per our expectations iPhone XS price in Pakistan is expected to be Rs.165,999, iPhone XS Max price in Pakistan is going to be Rs.180,999 and finally, iPhone XR price in Pakistan is expected to be around Rs.125,999. We will update the prices of all three Apple iPhones as soon as it is officially launched in Pakistan. Below I have shared a quick comparison of all three new Apple iPhones specifications side by side, which will help the consumers know about what are the specs of these phones and what is the difference between each of them. There are quite a few things we need to note here about the company’s upgrade to the new iPhone X, but I have narrowed down the list so that my readers can zoom in on the most exciting features, as well as those which might put the consumers off to purchase any of these two expensive Apple iPhones. Both the Apple iPhone XS and iPhone XS Max will be coming with stunning and extravagant screens which are absolutely fit for most demanding types of media. 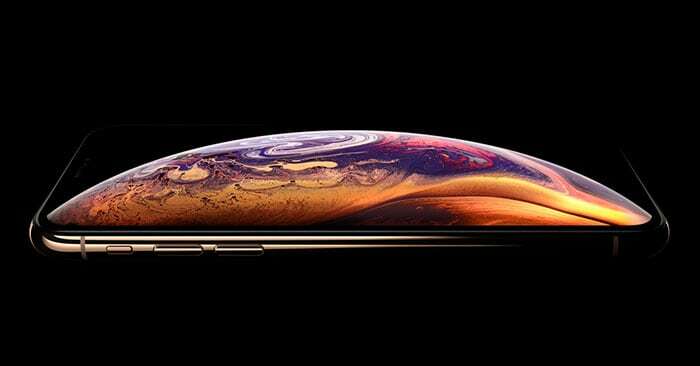 Apple iPhone XS Max will be featuring a 6.5-inch OLED screen with a screen resolution of 2688x1242 pixels, certainly, a dream come true for the Apple fans who wished for a big screen Apple iPhone. On the other hand, iPhone XS features a 5.8-inch display screen with a screen resolution of 2436x1125 pixels, which is not less impressive. However, you get the same pixel density of 458ppi on both these phones screens. It here clearly shows that the users will be getting a magnificently color accurate screen which surely doesn’t have any match in the mobile phone industry. 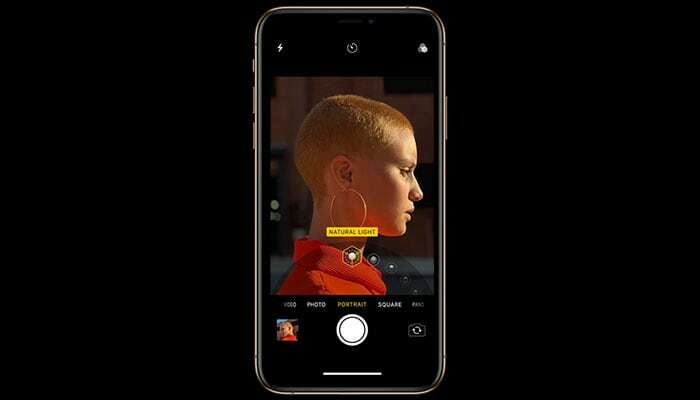 Taking the help of artificial intelligence in order to enhance the mobile photos is not a new thing now, but now Apple new iPhones have taken it to the next level which is all thanks to the A12 Bionic chip. This powerful graphical chip is paired with an artificial intelligence-powered software, which helps to excel onboard photo processing. You get the feature called Smart HDR which help the user to take several versions of the same photo with different exposures and then put them together for an extravagant result. Moreover, another impressive feature is that the user will be able to adjust the exposure of photos which are already taken in an effortless manner. 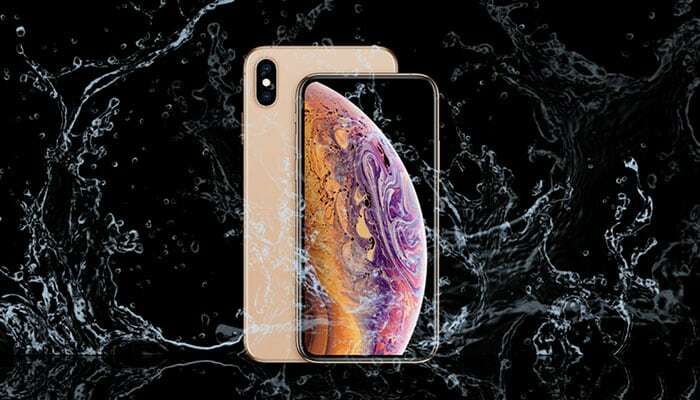 Both the new Apple iPhone XS and iPhone XS Max comes with IP68 protection, which ensures maximum level dust resistance and water protection. Moreover, taking into account both the phones with hefty price tags, this surely is something more than welcome in such phones. Most of us have seen the dual SIM support in most Chinese flagship mobile phones, but now for the first time ever, the new iPhones have introduced dual SIM card slots to let the consumer split work and family across different phone numbers. So far, everything looks extravagantly superb. But are there any downsides to these new flagship Apple iPhones? Well, if you are looking forward to some shiny gadget or color to let the world know that you own the latest iPhone, but this certainly is not going to happen. The new Apple iPhones are going to be available in three standard colors which include Space Grey, Silver, and Gold. Not too imaginative, is it? Then again, if you are looking to buy a phone with new colors to go with your style, simply go for the iPhone XR, which is available in a variety of colors. Speaking about the Apple iPhone XR, even though there is a major price difference between the iPhone XS and iPhone XR, but there are not too many upgrades to justify it. 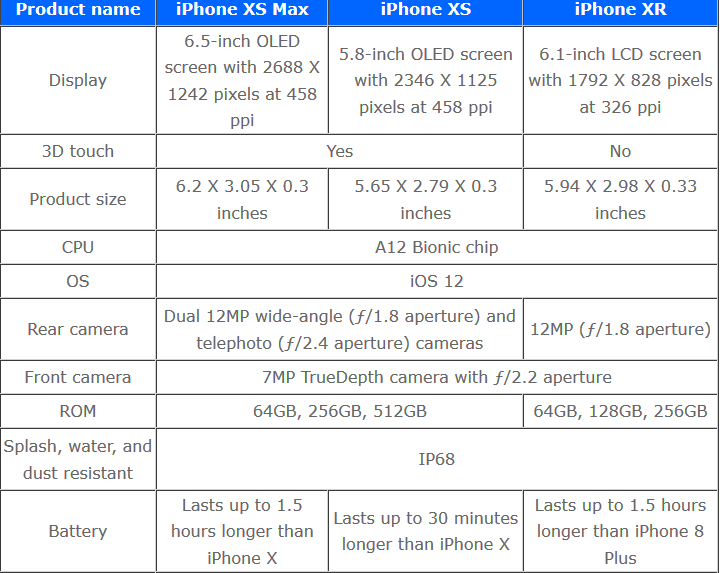 As I have mentioned above that the Apple iPhone XR shares quite a few specs with the other two expensive Apple iPhones. You get the same A12 Bionic processor, appealing bezel-less design and the same 7MP selfie shooter with Face ID. So, what makes this phone cheaper? Well, first is the small screen size but bigger than the iPhone XS screen. Apple iPhone XR features a 6.1-inch liquid Retina display screen. The screen resolution on iPhone XS and XS Max comes with high resolutions 1792x828 pixels with 326ppi. Though, most of the users don’t spot the main difference in quality. Apple iPhone XR comes with a single lens rear camera as compared to the dual rear camera in iPhone XS and iPhone XS Max. With discussing that the functionality of the cameras is the same. iPhone XR can take the same Portrait Mode shots just like in the other two iPhones. It also allows you to adjust aperture and set bokeh effects, all thanks to the AI functionality. 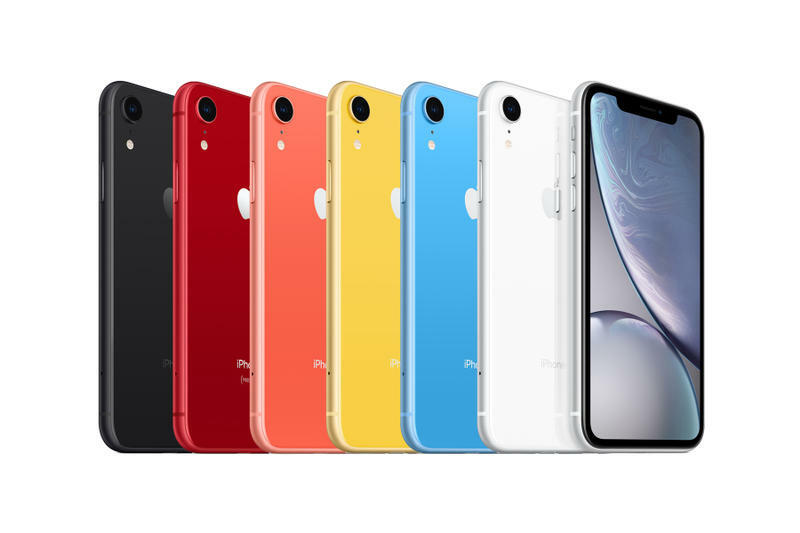 Well, last but not the least iPhone XR is available in appealing colors which include Red, Yellow, Coral, Black, White, and Blue. So, what do we have in the end after discussing everything? Apple iPhone XR seems to be the perfect option for the consumers to buy the new flagship Apple iPhone. In case you need to get a massive screen Apple iPhone, iPhone XS Max is the perfect option for you. On the other hand, iPhone XS lies in the middle of both the phones.